I had to make a call on my cell phone and decided to do so at the gallery area at work. 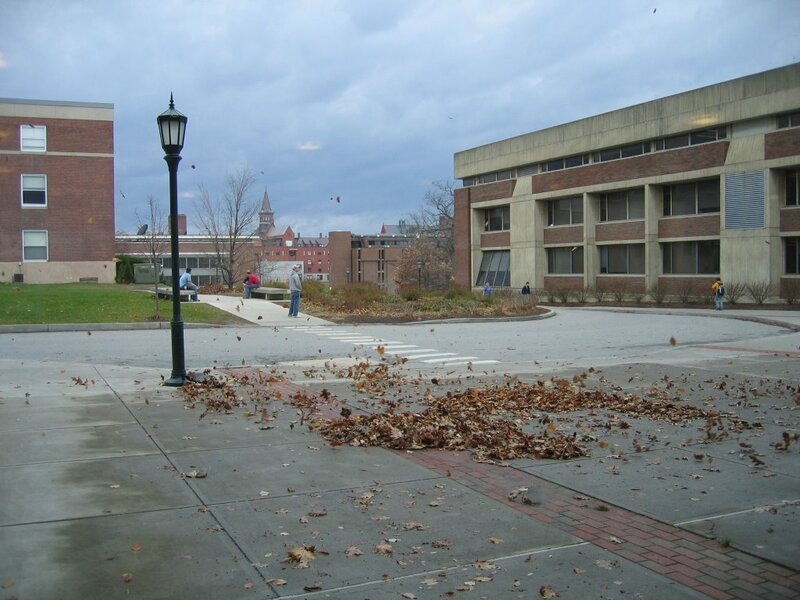 As I was on the phone, I saw the wind pick up and started twirling the leaves like a tornado. By the time I grabbed my camera, the wind subsided and this is all I got. Damn!